Monday, June 4 is the start of this year’s Canadian Telecom Summit to be held at the Toronto Congress Centre. 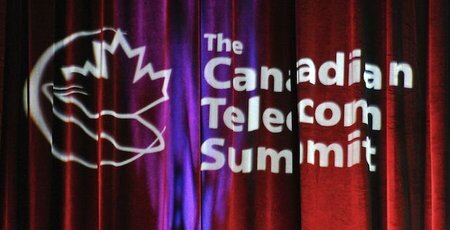 This is the 17th Canadian Telecom Summit (CTS). I have been blessed to have attended each of these events, put on by two friends of mine Michael Sone and Mark Goldberg. CTS is a chance for the Canadian telecommunications industry to come together; for networking for sure, but also for thought provoking interaction. Over the years we have seen many announcements, both government policy and from industry, some discussions and heated arguments and some entertaining regulatory panel discussions (for us policy wonks). This year the theme is “Innovation and Disruption in ICT: reinventing and securing our business and personal lives”. There has been much innovation and disruption in telecom throughout my career and the span of AurorA’s 24 years in business. Competition from Silicon Valley players like Google, Apple, Netflix and Microsoft have radically changed the industry. New technologies such as Artificial Intelligence (AI), the introduction of 5G networks and the continued rollout of the Internet of Things (IOT) promise even more innovation and disruption. This year I will be trying something new by blogging from the conference. My goal is to post a summary each night of some of the more significant talks, discussions and events from the Summit that I feel would be relevant to you, my readers, specifically from an international telecom perspective . Hopefully, I will see you live at the Summit. If not, then check in here next week for my updates from #CTS18 . If there is something specific you would like me to cover then leave a comment below of reach out to me on Twitter at @TimoVainionpaa.